This easy and delicious stir-fry can probably be on the table in less time than it would take you to pick up takeout. 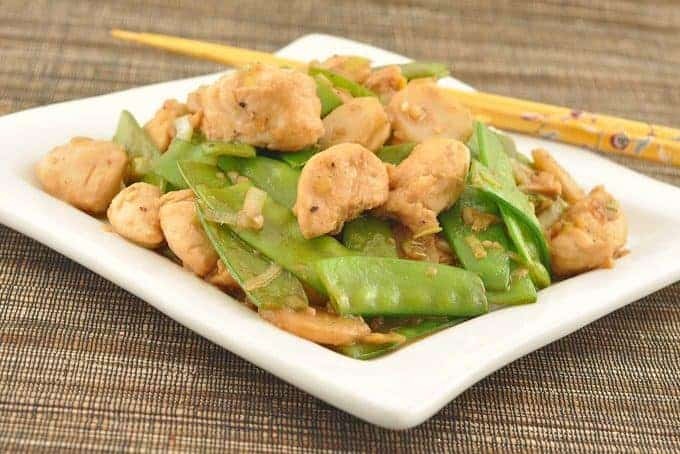 Crisp green snow peas, juicy pieces of chicken, water chestnuts, fresh ginger, garlic and scallions are quickly stir-fried and combined with a three-ingredient sauce of Chinese rice wine, soy sauce and hoisin. 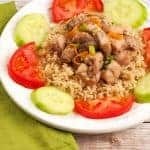 Serve over white or brown rice for a complete meal. 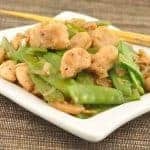 An easy stir-fry of chicken, snow peas, water chestnuts, fresh ginger, garlic and scallions that takes about 30 minutes to prepare. 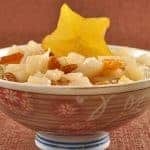 In the bottom of a mixing bowl, whisk the cornstarch together with 1 tablespoon of the Chinese rice wine and 1/2 tablespoon of the soy sauce until well blended. Add the chicken and toss to coat. Set aside at room temperature for 10 minutes. 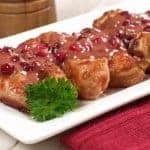 In a small bowl, combine the hoisin sauce with the remaining 1 tablespoon each of rice wine and soy sauce. Set aside. Preheat a large skillet or wok over high heat, then add the vegetable and sesame oils. Swirl to coat the sides of the pan. Add the ginger and garlic and stir-fry for 30 seconds, then add the chicken. Stir-fry 2 to 4 minutes, just until the chicken is no longer pink in the center. 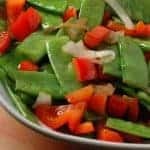 Add the snow peas, stir-fry for 30 seconds, then add the water chestnuts along with the reserved soy sauce-hoisin mixture. Cook until the sauce is bubbly and slightly thickened, then add the scallions. Remove from the heat. To serve, spoon over steamed white or brown rice.